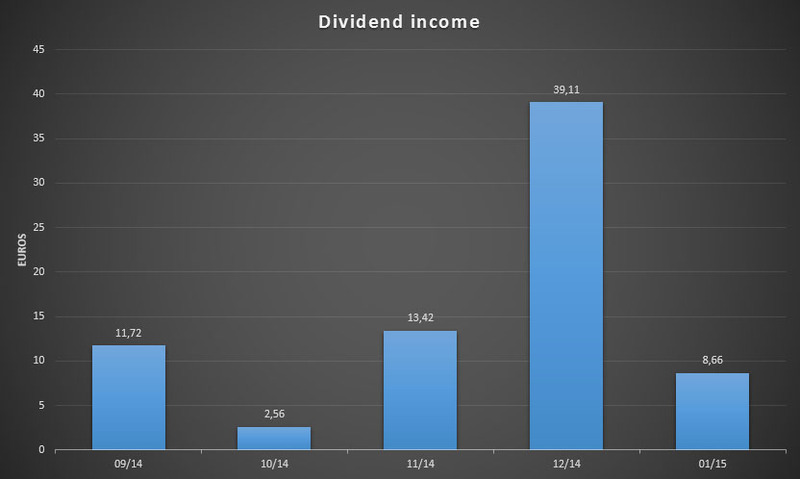 December of last year marked the first month in which I reported my passive income through dividend growth investing. This month I’d like to continue that practice even though January traditionally is a slow dividend income month compared to big hitters like March and December. In doing so I hope to keep myself motivated and to inspire others. It’s true that my dividend income currently is quite small, which you’ll see in a second for yourself, but that’s no reason not to track it. Forcing yourself to look at a monthly overview of fresh cash that magically appeared while you were enjoying a good night’s sleep isn’t just fun, it’s an excellent motivator. That’s why I love putting these posts together. When you slowly but surely see your dividend income rise from month to month, quarter to quarter, and year to year, it’s hard not to believe in dividend growth investing as a plausible strategy and in the power of compounding as an unrelenting uplifting force for your net worth. Even though January was a lot slower for me than December, there are still a lot of positive things to take away from this month’s passive income stream. Without further ado, you can find a list of the two dividend payments I received in January below. Sometimes I still can’t believe that companies willingly pay me a piece of their profits simply because I believe in their business, but you obviously can’t argue with these numbers. Please note that all listed dividends are in Euros, and are after foreign withholding taxes and a 25% Belgian income tax. Great! I’ll take an extra €8.66 towards my monthly cashflow any day of the week. Even though both GlaxoSmithKline and General Electric are rather small positions in my portfolio, they still managed to pay for my Google Play Music subscription this month, which is absolutely incredible. Simply by keeping my expenses low and investing the difference with my job’s paycheck, I’m now able to cover a subscription for unlimited access to music in January for as long as these two companies continue to do great and maintain their dividends. That sounds like a pretty sweet deal to me! However, the real fun starts when I decide to reinvest the dividends and let them compound, which I did of course. GlaxoSmithKline won’t be happy to know that their generous dividend covered 0.5% of a stock purchase of Novartis (VTX:NOVN), one of their competitors, but to me betting on two of the best horses in the race instead of only one seems like a pretty smart thing to do. Just like last month this paragraph remains relatively useless for the time being. Only having started with dividend growth investing in August of last year, it’s impossible to compare year-over-year growth at this point in time. However, the graph below shows a noticeable increase in income compared to one quarter ago. January’s income shot up by over 330% compared to one quarter ago, just like when we compared December to September of last year. If my quarterly increases maintain the same pace for the next couple of months, I’ll be in a great place one year from now. I’m really glad to be able to continue my progress and enjoy the fruits of my coordinated efforts. Looking forward, February and March are going to be pretty big months. With the recent avalanche of earning reports both in the US and in Europe, many companies are preparing themselves for the next dividend increase. On top of that, most companies this side of the atlantic have a 40%/60% payment scheme or only a single payment, which makes late winter and early spring the dividend seasons par excellence for European investors. Even though I’m a long way off my goal of €500 in dividends for 2015, I’m still convinced that without any hickups along the way that target is achieveable. On top of some of my holdings already announcing a dividend increase, I’ll continue to aggressively save and invest to make sure I get where I want to be at the end of this year. We’ll see how I do! Thank you for reading and be sure to let everyone know in the comments how your dividend income, if any, turned out this month. Like this article? Receive future ones in your inbox! If you want to read more about financial independence or my stories I'll make sure you're notified every time I post something new. Thanks, pal! Both for the kind words and for your support. Stuff like that really keep me going and give me the energy to keep on writing on this blog. You should definitely consider starting your own though. It’s very cathartic to write your thoughts and progress down. I can imagine Siemens forwarding you a decent chunk of cash this month. They’re currently on my watchlist, but with so many other great investments out there and the next ex-dividend date being a year from now, I think I’ll wait some more. This weekend I’m definitely winding down. If I don’t, I surely won’t be able to keep up at work over the long-run. Any step forward is progress to me. I wish you the best of luck and I hope you achieve all your goals. I still have the income surge, trying to smooth things out by buying more companies. Congrats and keep up. You meet your goal. I’m not entirely sure what you mean by income surge, but if you mean that your dividends differ wildly from one month to the next I don’t think that’s something you should actively try to smooth out. Of course it would be nice to receive the same amount of money each month, but I think that you know your high and low income months after a while, so you can adjust your spending accordingly once you finally retire on your passive income. Personally I would not add any more to Siemens right now, I would wait a while to see where things are going especially their Energy sector. My funds go to others right now. Being management personnel keeps workload high over the year cause I am doing lots of consulting and much less auditing but anyway, I keep Saturdays low and start on Sunday afternoons. Even though Siemens has a great history and a good future ahead of it, I’m also in the waiting camp for the moment. Too many of Siemens’ core businesses are changing, both from a market as well as a regulatory perspective. And the fundamentals just haven’t been what they used to be. I know how having a mangement function makes it so that you’re never truly free, but there’s not much we can do about that. Keeping your saturday free and only starting late on sunday again seems like a good compromise. I actually try to do the same thing, but it doesn’t always work out. It is always great to think of what monthly expenses your dividend income has paid for. Congratulations on a dividend income of $8.66. When I have finished tallying up January’s total I will let you know. Seeing which expenses my dividends covered is by far the biggest motivation that dividend growth investing can have. It’s very empowering to think that I’ll never have to worry about January’s payment of my Google Music subscription. Looking forward to your own dividend report. I’m sure it’ll be a big one! Congrats on the dividend income, NMW. Dividend income streams seldom go from 0 to 1000…theres always a slow build up. But the beauty is that you start seeing the amount compounding over time. When it comes to DGI, time is your friend! Slow but steady wins the race! Even though €8.66 doesn’t sound like much, I find it pretty impressive already after just a couple of months – especially considering January is a really slow month in my portfolio. The next couple of months will be much more interesting. Thank you for your continued support, I appreciate it. Thanks for sharing! January seems to be a quiet month for most people. After the big dividend bonanza of December, the Winter Holidays, and the annual reports being drafted in January, it makes sense that this month was rather slow. Thankfully that doesn’t matter too much, because the other months will definitely make up for that. Well, that 8 euros is better than the big old goose-egg our budding portfolio brought in. Keep crushing it! I think we both know it’s a slog, but it’ll be worth it once we get to a point where we’ve got decent income rolling in! I’m inspired by the progress made by DividendMantra–just seeing it build from a guy in my same financial situation is a huge motivator for me. 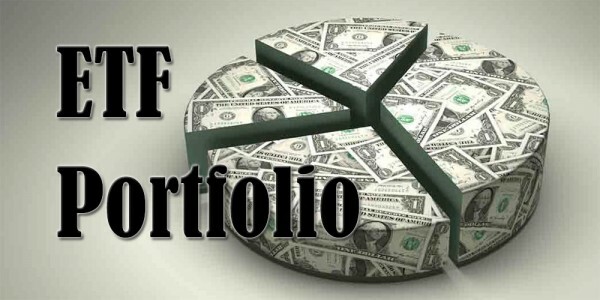 Once we both get our portfolios going, the income they will throw off will rapidly start to increase and even grow on its own. I’m sure we’ll both be amazed how much passive income you and I will be receiving in a couple of years. Jason from DM definitely is a huge source of inspiration for many of us. It’s incredible to see the progress he’s made over the past five years – and now he even quit his day job to do what he loves. Having noticed how much his stories motivated me, it made sense for me to start my own blog and inspire others, so that’s just what I did. Better than nothing man. Just keep investing and watch your seeds grow! Exactly, AG! Patience is all we need to see our income grow and grow! Congratulations! Every month is a step closer in the right direction, no matter how big or small the amount of cash that comes in might be. Come the end of this year you’ll look back and fondly remember where you started from and the distance you’ve traveled since then. Best of luck the rest of this year! Thanks! €8.66 isn’t nearly enough to reach my goal of €500 this year, but I’m still pretty sure I’ll get there as the next months contain a ton more payments. I’m sure I’ll fondly look back at the end of the year, like you say. Remember al great thing need to start somewhere. 8.66 EUR is a good start if you ask me. 8.66 Euros is the start of a million, so it’ll only be a matter of time before I get there. I hope you had a great dividend month too! Great start to the year NMW, with income from a company which I too have invested in and a company which is dear to my heart! 😉 Start small, end up big – you’re making great progress and as others have mentioned, it just takes time and you’re so young, you have oodles of time to play with! Time is definitely a dividend growth investor’s best friend. Let’s hope we can both enjoy it as long as possible! Yes, GSK was my first dividend income from individual stocks. And no, I don’t work for them, I work for the other company you mention in your post so I guess it’s no secret lol! Love that you told your friend that you own a piece of GSK’s fence! Any progress is good process. Congrats on having a great start of the year. Thanks, buddy! Hope your first month was good too over there! Even though this month wasn’t nearly as high as December’s, you still made a 330% increase since last quarter! It’s quite incredible to see the growth path of my dividends early on. I just saw you managed to receive over 770% more dividends YoY from January last year, impressive! Never underestimate the days of small beginnings my friend. We all started somewhere. Also, with the right mindset to invest small amounts. It becomes relative as you invest 100 or 1000 or 10000. Bottom line you’re trying to improve your life for the better and that is much respected. Much love to you. Tyler. You’re absolutely right that we shouldn’t underestimate nor forget to appreciate small beginnings. Everyone has to start somewhere and I’d rather receive €8 in dividend income than no passive income at all! Every month that goes by is another dividend bar on that chart, whether big or small – it’s going to be awesome to look back and see 12 months worth of dividends on there by the time you hit the end of the year, and then seeing it increase in the years beyond! Keep up the good work NMW, one month at a time! Sometimes I wish I could fast-forward a couple of months to see the progress that I’m about to experience in the near future, but that would spoil half the fun, wouldn’t it? Thanks for your support and insightful comments! 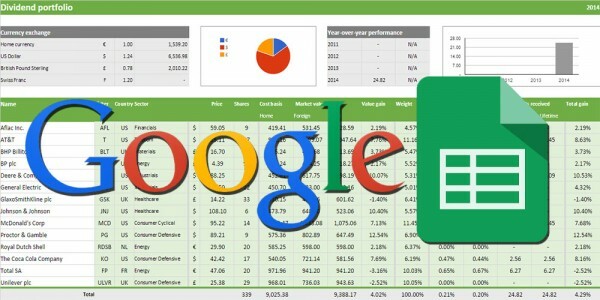 I think it’s great that you have started these dividend income reports. I cannot wait for you to look back in a year or two and see how far you have come from these early beginnings. I have to say that your attitude towards your dividend income is exactly like mine. I look to see what can my dividend income cover for the month. Look at all the small things it can pay for. One lunch during the month. As you said, a Google Play subscription, a cel phone bill one day, gas, electricity, rent, insurance and one day every living expense you have. Keep up the good work. These are the most fun posts to read. I’m glad you enjoyed this post! I hope to write many more. Your and my attitude towards dividend income is essential to building a sizeable income stream and getting to financial freedom, in my view. It’s what I like about dividend growth investing the most and why I now prefer it over index funds where you have to slowly sell your portfolio. I’m really looking forward to the day that dividends in any given month can cover my rent. The idea that I’ll always have a roof over my head, no matter if I decide to work or not really motivates me to push on. Slow and steady wins the race. I like it when you say its not an excuse not to track those dividend income. Those are real dividends distributed out from the business you invest so they are real and tangible. All the best and pretty sure upcoming months would be more and more. Tracking incoming dividends is what keeps me going, keeps me on edge, and motivates me to invest even more in great businesses that want to reward me with an ever-rising share of their profits. So why wouldn’t I love to keep an eye on that cash rolling in? Love it! Thank you for the kind words and I’m sure the coming months are going to be great. Good job! I remember those first months, even though it’s just €8 you can think of it like half your cellphone bill or something and it becomes very usefull right away! Nice to see GSK in your portfolio as well. Good luck! That’s exactly how I look at dividends: real money that can cover small expenses. If you give them enough time though, they’ll start to cover more and more expenses until you’re finally able to live a financially free life. Glad to have you with me aboard GSK! “The start of a million…” I like it. I should add up my dividends. Most of them are automatically reinvested so I don’t really pay much attention. I am more focused on growth and dividends are a just a sweet by product…. It’s a silly expression, but it holds a lot of truth, weirdly enough. It took a long time for me to figure that out! You should definitely keep an eye on the dividends you receive, even if you re-invest them automatically. Who knows how much extra income you’re actually making without even knowing it? Great start to the year NMW. Easier than lifting a pencil. Thanks, DFG! Let’s hope we can keep it up. Good stuff NMW. Great to see more European blogs (I’m a Brit living in the US). Love the site name. Thank you for dropping by and taking the time to leave a comment! There nearly aren’t enough European blogs, so make sure to spread the message and get others on board. I believe there’s a wealth of information on European companies and dividend stocks out there, but it takes our combined effort to unlock that info. A benefit of having low expenses (besides being able to invest a lot of excess cash flow) is the fact that it doesn’t take that much passive income to claim financial independence. You’re closer than a lot of other people due to that. Even though January’s dividends don’t seem like much, they actually account for over 1% of last month’s expenses. If that doesn’t illustrate your point, I don’t know what will. If everything goes according to plan, my savings rate should also go up over time, thus increasing the speed at which I can claim future dividends by investing my excess cash flow. Thanks for pushing us all forward! Shouldn’t be a problem indeed, but you never know. I still need to invest quite a lot this year to get there. Even though you still feel like you’re struggling, I’ve gathered from your blog that index funds are the way to go for you. Since you’re not really looking to replace income any time soon, don’t have the time to research stocks, and simply want to grow your wealth as soon as possible, I believe index investing is the better choice. If you really can’t decide, why not go for a combination of both? That’s the best way to figure out what works best for you. Congratulations on your €8.66! I’m actually pretty close to you with €10.66 in normal dividend last month. We both started building our portfolios in August last year, and we were both inspired by Dividend Mantra. How’s that for a coincidence? I confess I secretly lurk on this blog, and your articles are a great source of inspiration and motivation. I got really lucky with LVMH, who had to sell off their stake in Hermes and refund the shareholders. That got me an extra special dividend of €111.45. The year is off to a pretty good start, and I hope you’re going to have an awesome 2015 too. Thank you! It’ll be interesting to see how we both progress over the next few months – both being stationed in Belgium and having started at the same time. I believe everyone was inspired by DM at one point or another, so no surprise there. 🙂 I really appreciate it that you enjoy my blog and take away some inspiration from it. I’ll send you an e-mail this week-end to arrange a short meet-up at the FuckUp night in Brussels if you’ve got the time. Looking forward to it! Good job NMW! It’s great to chronicle your dividend income since it will only go up in time. You’re on the right path, so congrats for a successful January of work free money! Glad to hear again from you! Recently visited your blog, but saw you hadn’t updated it in a while. 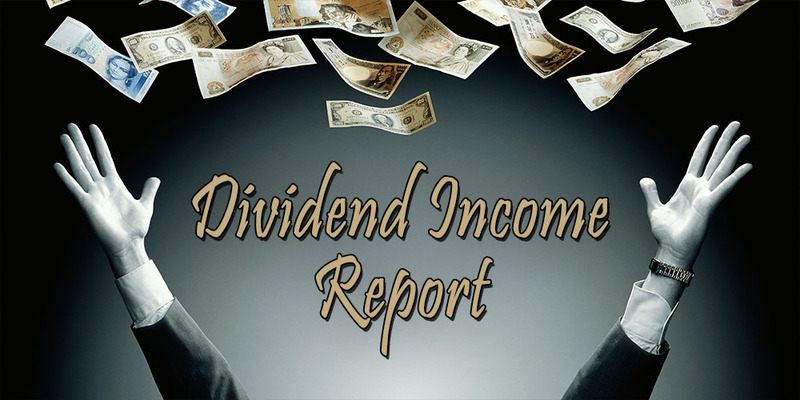 Keeping track of my dividend income not only gives me great data to analyze now, but it’ll be fun to look back on in a couple of years or even months. I agree. It is a great motivational tool. Watch the progress being (slowly) made! It surely is! Thanks for dropping by, DD! 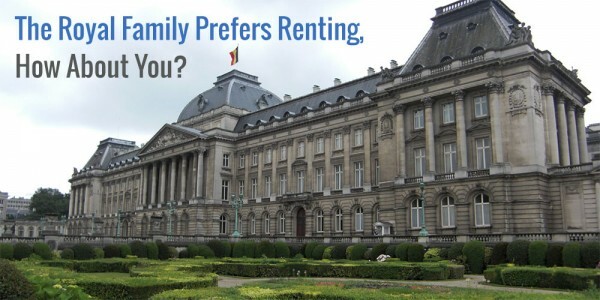 Do You Rent or Own Your Home? I am not a licensed financial advisor, nor do I claim to be. All information on this website should be considered educational and entertaining in nature. This blog does not collect any personal information about its visitors other than that which they provide freely by leaving comments. I will never disclose or sell personal information of visitors for any purpose whatsoever. If you want to read more about financial independence or my stories, I'll make sure you're notified every time I post something new.